Together Neighborhood Development Alliance staff holds over 110 years of combined experience in counseling and real estate development. We are cross trained and certified through multiple state and national entities. 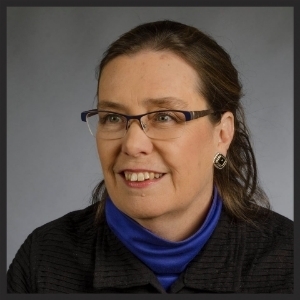 Karen Reid is the Executive Director of NeDA and has been with us since 1998. The best part of her job is building quality and safe real estate development so that families can grow. Karen reads up on the mortgage industry, too, and is still trying to figure out what a synthetic collateralized debt obligation is... she wonders if they're wrinkle-free! Contact Karen via email kreid@nedahome.org or 651-292-0131 ext. 248. Maritza Mariani is NeDA's Associate Director. 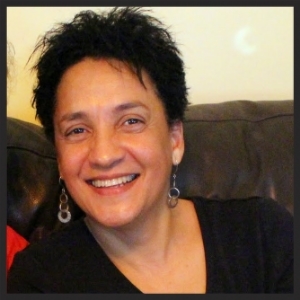 She began working with us in 1994 as a housing counselor and in 2004 she was appointed to her current position. Maritza is proud that NeDA was the first organization to offer home purchase counseling and education in Spanish. We took the lead by expanding our services to provide even great depth of programming through financial guidance and workshops; Maritza says these services have impacted the Latino community in an extremely positive way. Outside of work, she loves playing in the kitchen by ditching recipes and getting creative. She's a dedicated grandma and enjoys long walks and good books. She's proud to say she both lives and works in the West Side, Saint Paul community. Reach her at mmariani@nedahome.org or call 651-292-0131 x 252. Gail Merriam is NeDA's Real Estate Developer and has been with the agency for more than 20 years. She enjoys seeing the impact NeDA has on the community and she gets fired up to save homeowners money on their utility bills. Gail loves taking walks, swimming at the Y, and binge watching Netflix. Her big passion in life is being a wonderful grandma to her 4 grandchildren. Reach Gail at gmerriam@nedahome.org or call 651-292-0131 x 254. Miki Peine serves as our Accountant and she has been crunching the NeDA numbers for over 10 years. She loves supporting our staff from behind the scenes and likes observing participants gain financial control of their assets. Miki comes from a big family and is a nature enthusiast. She loves going for a swim and camping in the great outdoors. Her biggest love, though, is historic applique quilting. Contact Miki at mpeine@nedahome.org or 651-292-0131 x 256. Roxanny Armendariz serves as a Financial Counselor and Educator and has been working with the organization in different capacities since 2001. She is all about making people smile and enjoys illuminating the reality of folks' financial situations. She is passionate about teaching Latino adults life-long money management skills. She's a big reader and loves spending time with her kids and dreaming about super-couponing. Her goal is to grow NeDA into a national organization so she can move to Florida where it's tropical year-round. You email her at rarmendariz@nedahome.org or call 651-292-0131 x 271. 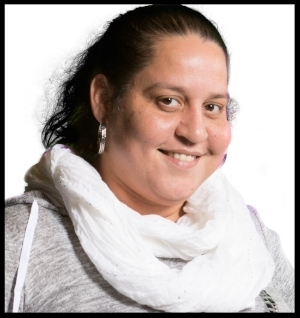 Graciela Mendez has been with NeDA since 2004 and works as a Home Ownership Advisor and Home Stretch facilitator. She says that positively helping her community gives her a big sense of satisfaction and she loves turning her clients into successful and happy homeowners. Graciela also enjoys dancing and she's a DJ for Metro-based Jazz 88. She loves cooking for her family and curling up to watch a good movie together. Email her at gmendez@nedahome.org or 651-292-0131 x 236. Mariana Scott joined us in 2016 and serves as a Home Ownership Advisor. She is originally from Bogota, Colombia, but has lived in Minnesota for the last 30 years. She appreciates NeDA’s dedication to assisting people achieve financial independence, purchase a safe home, and build wealth in the community, one family at a time. To work for a socially-minded organization has been a dream of hers for many years since growing up in poverty-stricken Colombia, where many people struggle to meet their basic needs. Mariana loves taking early morning runs with her dog, Watson, and discovering new trails where she can contemplate and sketch. She also loves the New York Times and makes sure to read Sunday’s edition cover to cover. Reach her at mscott@nedahome.org or 651-292-0131 x 240. 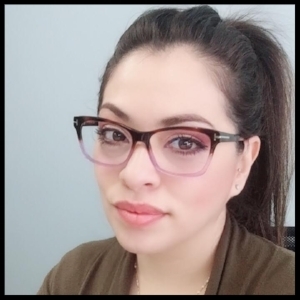 Alma Sanchez is a Home Ownership Adviser and joined the NeDA team in early 2018. Before that, she spent many years in the finance and home buying industry. Alma has called home to the West Side area since 1994 and is the proud mother of 2 children, plus 1 great dog, Blitz. She is a lover of all types of dancing and also lives for running. She is currently earning her degree in business management. Email her at asanchez@nedahome.org or call 651-292-0131 x 259. Taylor Gauthier is NeDA's Community Organizer-VISTA, joining us in August of 2018. She will be working with residents at NeDA's new affordable housing complex, Villa del Sol, to bring new resources and services to residents, as well as helping to organize residents around common interests to create a greater sense of community. Taylor is very excited to be a part of NeDA and to help empower residents to become the best they can be. Taylor is passionate about social equity, community empowerment, and is a proud history nerd. After her service with NeDA, she plans to head to grad school, pursuing a masters in public policy. In her free time, Taylor enjoys reading, drinking coffee, learning as much as possible, and snuggling her cat, Leo. Email her at tgauthier@nedahome.org or call our front desk, 651-292-0131. If you would like to receive counseling with us or have a question about the work we do, please fill out the form below and one of our staff members will get back to you. Thank you! We'll reach out to you in 24-48 hours.